When thinking about how you are going to manage your finances, one of the best things that you can come up with would be a budget plan. Having on ensures that you know how you’re going to use your money and where it’s going to. This article will provide you with information on how to make one. The first step to coming up with any kind of budget document is to know exactly how much income is coming in. This is essential as knowing this information will help you create your entire budget plan. Be sure to take note of all the different sources and figure out which of this income are regular or irregular. If you are making a budget plan, then you’ll need to know what your goal is. Are you working towards buying something in particular? Or maybe you wish to save a specific amount before a certain period of time? Once you have figured out what your goal is, place a description of it into your plan. Next is for you to know what it is that you’re spending on. Expense tracking is essential if you want to know exactly where all your money is heading towards. So make a list of all the different expenses that you make and make sure that whatever figures you put into the plan are as close to accurate as possible. While you are making your budget plan, you have to take a good luck at every single one of your expense. Determine which of them are ones you have to make and which of them are ones that you do not necessarily need. This will help you cut anything that currently has no point in spending on, allowing you to budget more efficiently. This goes for both your income and expenses. If you think that there are any additional sources of income that you can acquire, then consider putting that into your plan. The same goes for your expenses in the sense that you’ll be replacing certain ones with much cheaper options. Always look for different alternatives that can help you save more. You will have to do this at some point as you will never know when you might have to readjust your budget. There’s always the possibility of events which force you to make budget changes, meaning that you will have to update the plan to accommodate them. Be sure to do this whenever you need to. 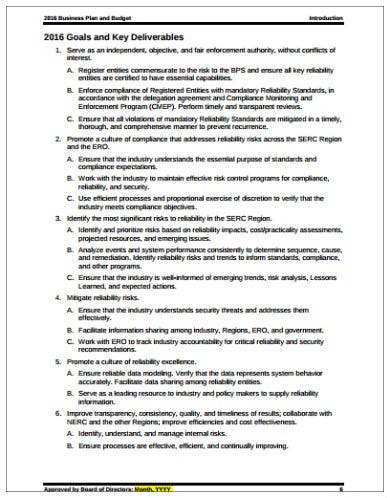 A company or organization will need to learn how to manage its finances every year to ensure that they are able to survive. So if you want to make a detailed plan of how a particular company or organization should handle its budget, then use this template to help you in creating one. It is never going to be easy for one to properly handle his/her finances. That is why they will need to come up with an effective plan to do so. 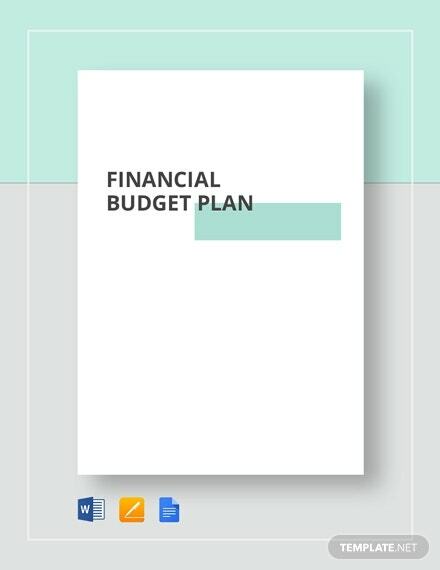 With the help of this financial budget plan template, you can make a document which will allow you to keep track of all your income and expenses, allowing you to make better financial decisions. If you are going to start running your own business, then you will need to carefully budget everything that you need to spend on. 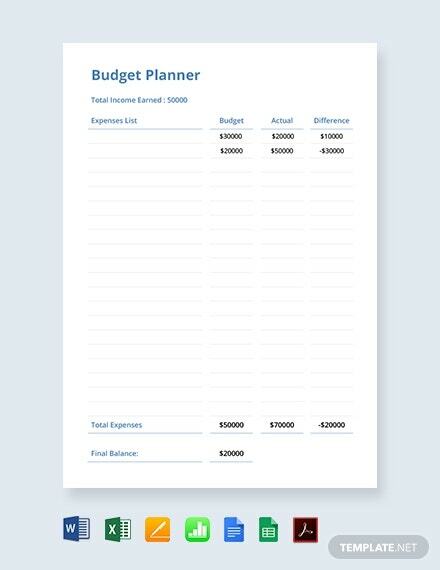 To make sure that you know what expenses you need to make and that you only make them for the business, then use this template to help you come up with a solid budget plan. Every restaurant that has just opened must learn to come up with an effective budget plan to keep themselves alive in the industry. 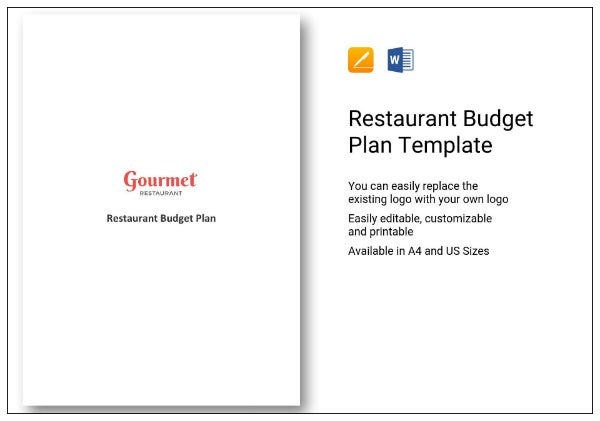 So if you have just managed to open up your own restaurant, use this template to ensure that you can come up with a budget that will keep it going for as long as you want it to. 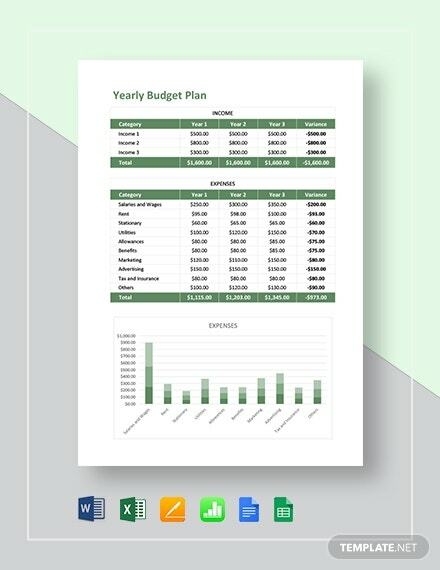 If you are looking to make a budget plan in the simplest and quickest manner possible, then know that this template is always available for you to download. You can use Microsoft Word, Microsoft Excel, Apple Pages, or even Google Docs to access and customize it until you are able to make the budget plan you need. 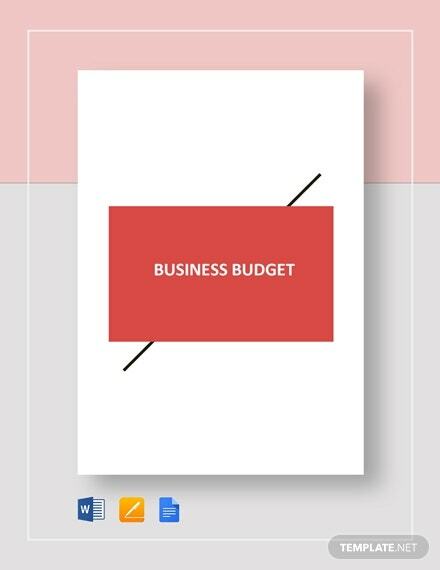 In the event that you have to make a business plan and a budget plan at the same time, then you’ll find that this template will come in very handy. Use it so that you can provide details on how you want to open and run your own business, as well as how you’re going to handle its budget.